Influential Interventional Cardiologists on dual antiplatelet therapy ranked by the Healthcare Social Graph Score® – Symplur. 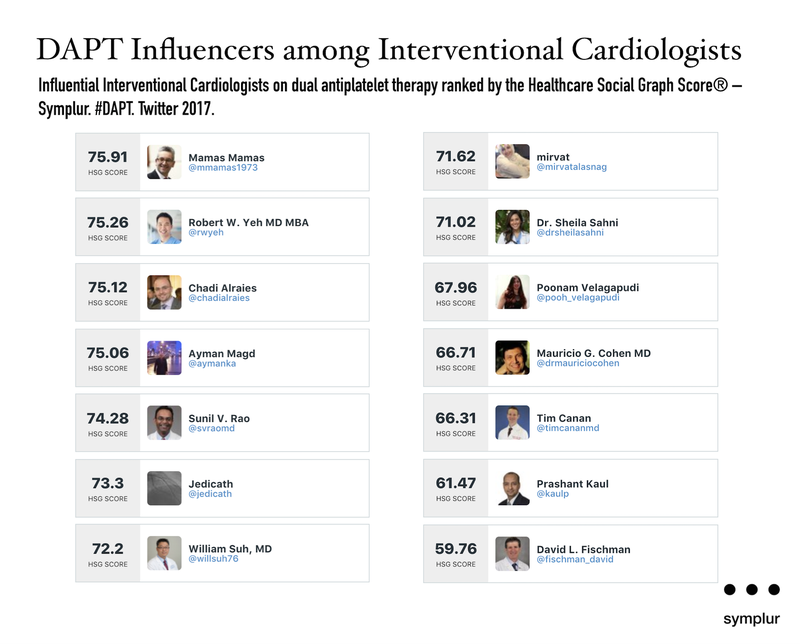 #DAPT. Twitter 2017.